In 2016 was produced boat Bavaria 360 Coupe named Blue Fox. She is placed in port Pula in the area of Istria in Croatia. You can board up to 4 persons on the vessel Blue Fox. 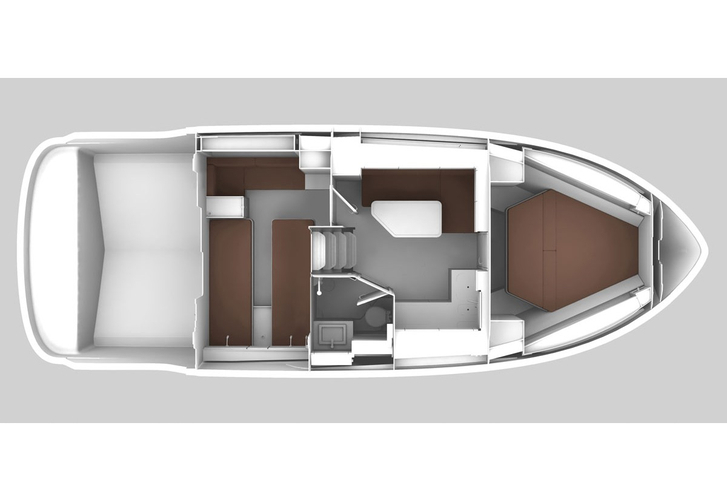 Layout of berths is 4 4 + Salon. There are 2 cabins located under sailboat's deck. Blue Fox is equipped with 1 heads with showers. Browse for more search results following this link: Yacht charter Istria. Diesel tank is 520.00 l Diesel l. big , water container has up to 250.00 l liters. In this sailing boat is installed motor 2 x 220 HP Diesel Volvo Penta. 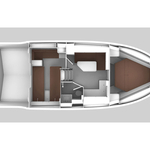 With 11.66 meters of lenght and 3.59 meters of width Blue Fox provides enough space for comfortable sailing. Bavaria 360 Coupe Blue Fox is equipped with: Autopilot, Gps, Bow thruster, Anchor electric windlass, Dinghy, Air conditioning, Dvd, TV. . Security caution is at the level of 2000.00 EUR. 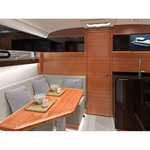 Search for more boats in this section: Yacht charter Pula.